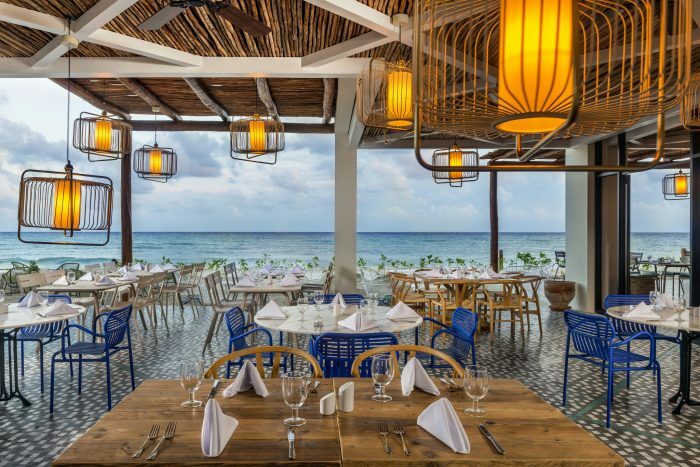 Ocean Riviera Paradise is a brand new, oceanfront resort located in the heart of Riviera Maya that has stunning views of the crystal-clear Caribbean Sea. The resort also offers beautiful gardens filled with vibrant flowers, as well as local wildlife in the surrounding natural parks. 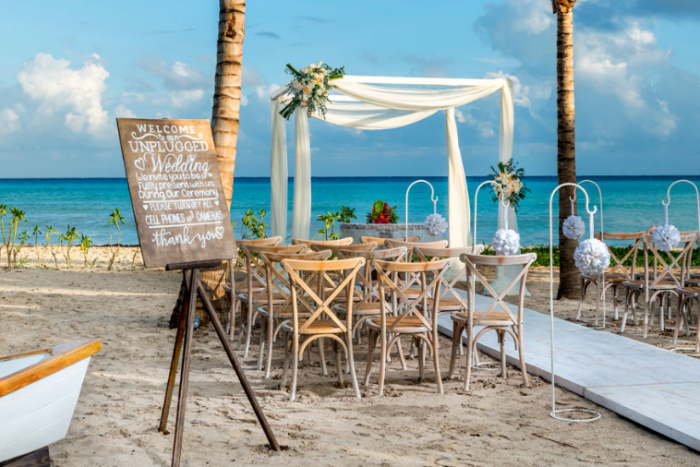 The picturesque backgrounds offer the perfect setting for your destination wedding. 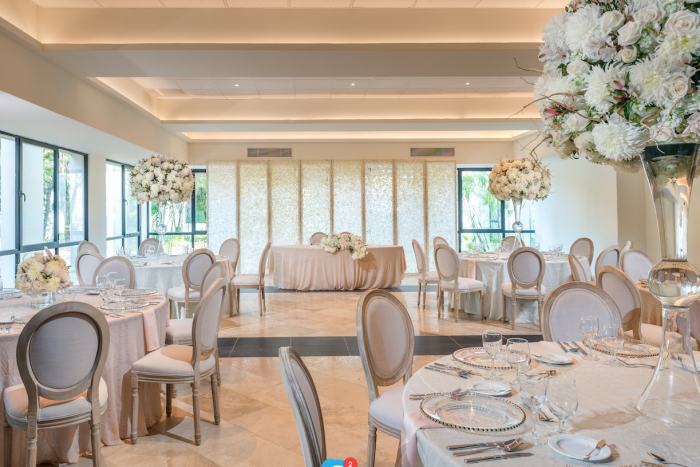 The perfect place for those who are looking for an intimate wedding ceremony, with a smaller group of friends and family. 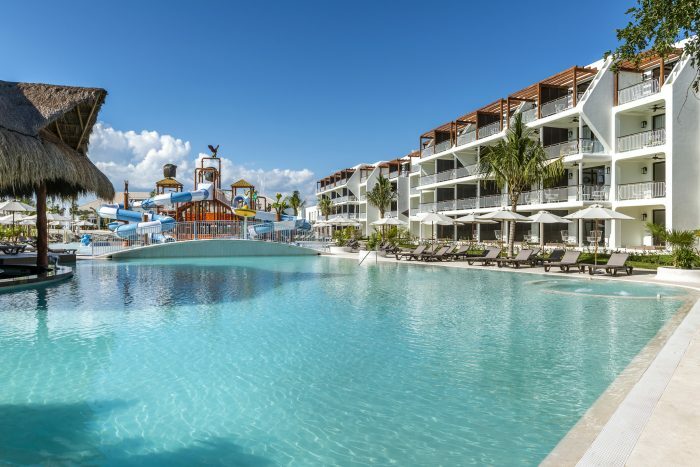 The resort is split into four separate areas to offer an adults-only space, a family friendly area, an exclusive section with VIP services, and a separate area for rooms that are closer to the beach and have direct access to a swimming pool. During the day, guests can enjoy countless physical activities such as football, volleyball, and dance classes all on the multisport courts; in addition to the 3 tennis courts and water-based sports available. There is also a bowling alley on-site. Ballroom – 150 guests max, Beach – 150 guests max, Daisy Terrace – 50 guests max, Eden Terrace – 40 guests max. There will be no more than 2 weddings a day, held Monday thru Sunday. They will be spread out so no weddings occur at the same time. 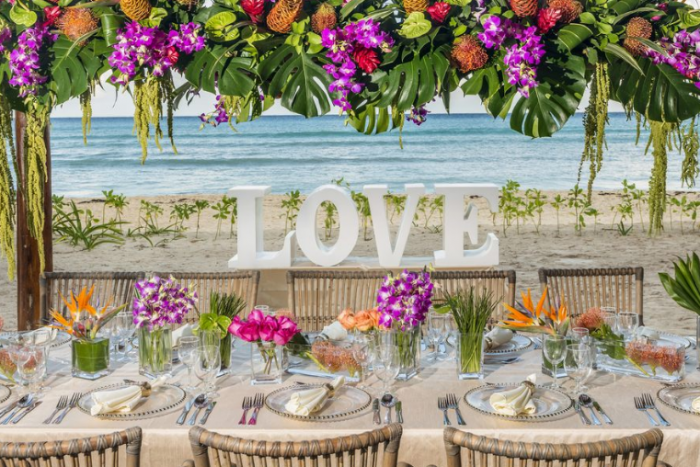 The wedding coordinators typically respond within a full business week. For this resort, it is best to reach the wedding coordinators by phone. During the resort’s busy season, they may take longer. Rooms range from $140 – $180 per person per night. There is free wifi throughout the hotel, including each room. Ocean Riviera Paradise also includes free parking, depending upon availability. Children 3 and younger stay free. There are 974 total guest rooms that offer views of the pool, garden, or ocean. The rooms are spread across 4 different areas of the hotel: Daisy, which is for families and children; Privilege, which is an executive section with VIP services; Edén, which is closest to the beach and offers rooms with direct access to one of the swimming pools on the property; and El Beso which, is for guests who are 18 and older. High season months typically include May, June, July, August, and December. It is always encouraged to have your guests book their stay 6 – 12 months in advance. Rooms allow up to 4 adults and 1 child per room. The master suites all come with a private jacuzzi on the terrace. Children are ages 12 and younger. Ocean Riviera Paradise is about 33 miles from the CUN airport and about 20 minutes, from downtown Playa del Carmen. Ocean Riviera Paradise is 33 miles from the CUN airport and about 20 minutes, from downtown Playa del Carmen.